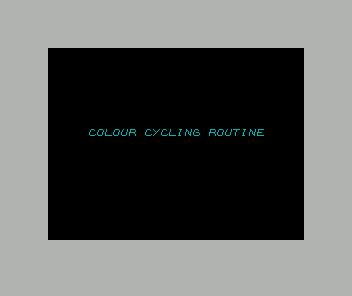 During the development of my ZX Spectrum game, Husband Chores, I kept the functionality and routines which were not game-specific separate from the game-specific code. 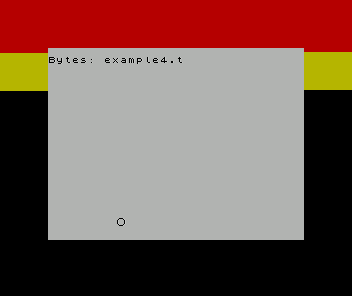 As the weeks went by, I realized that I could package up all my re-usable work into a ZX Spectrum homebrew game development library. 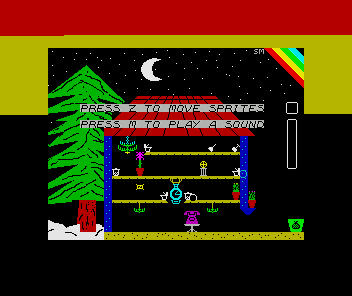 Given that this was my first non-trivial ZX Spectrum project, the performance of the routines has room for improvement. 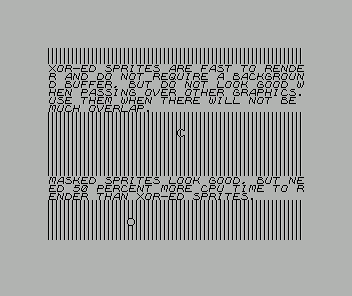 However, it should suffice for simple games by programmers looking to make headway into the interesting ZX Spectrum, just like I did. To use libzx successfully, it's recommended that you have, at least, seen assembly language before. 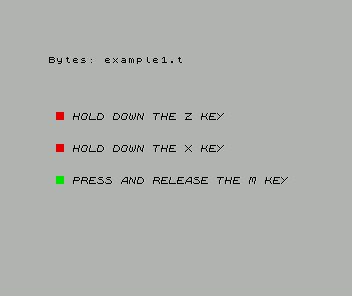 The Z80 processor has a relatively restrictive set of opcodes and permitted register argument combinations compared to other CPUs, such as the x86 family. 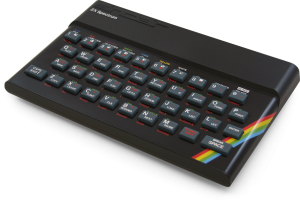 I've included some ZX Spectrum and Z80-specific documentation in the docs directory. These should help with learning through experimentation, in case you're unfamiliar with the platform. 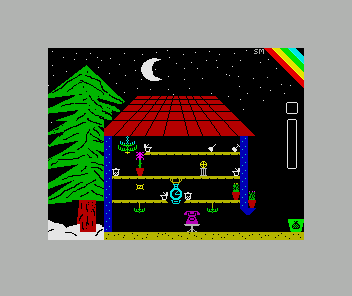 Read more on Husband Chores, my ZX Spectrum game written using libzx. libzx and examples source package - this archive includes libzx, as well as all the examples. 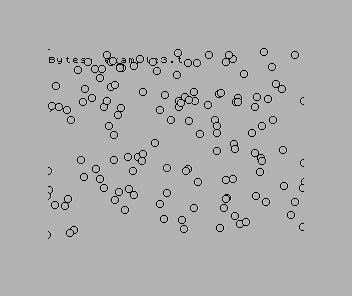 Contains all tools necessary to build all examples. 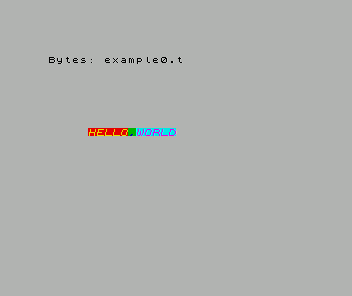 Download it to start coding your own ZX Spectrum game. Just download, unzip, and run make.bat. Tested in Windows 7 64bit and Windows XP 32bit. You can try out all libzx examples in your browser. download the examples and libzx from the Downloads section above.